Pros on Call specializes in a variety of automotive locksmith services that benefit motorists including fast and affordable replacements for your transponder car keys. Because our 24-hour locksmiths are prompt, efficient, and reliable, the process of scheduling an appointment for our mobile locksmith services, or requesting emergency locksmith assistance is never challenging. Give us a call and get the help you need now! Pros on Call specializes in a variety of automotive locksmith services that benefit motorists including fast and affordable replacements for transponder car keys. Because our 24-hour locksmiths are prompt, efficient, and reliable, the process of scheduling an appointment for our mobile locksmith services, or requesting emergency locksmith assistance is never challenging. A transponder car key is embedded with a chip that gives a driver strategic opportunities to enhance security around a vehicle from a distance. The technology that powers a transponder on a key detects radio waves after certain buttons are pressed. The range must always be considered when a transponder is used because it can impact how efficiently the automotive components operate in different environments. 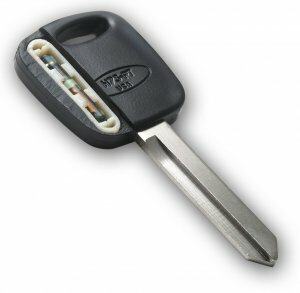 When a transponder key has technical problems that can’t be resolved by implementing car key reprogramming procedures, our replacement service can be very beneficial. During these situations, we pick proper solutions so that motorists can continue to keep their automobiles secured after vital transponder components are broken. We can quickly replace car keys 24-hours a day! If a transponder is lost or stolen, our mobile locksmiths can provide a replacement so that a vehicle’s security doesn’t have to suffer. All of our mobile locksmiths commute to many neighborhoods and suburbs when replacement transponders are needed. Since we always keep practical locksmith tools in our mobile vehicles, we’re able to begin and complete transponder replacement tasks in a timely manner. The techniques that we use during transponder replacement situations benefit motorists financially, as costly steps don’t have to be taken in order to replace a transponder at a local dealership. Because we have access to the latest locksmith tools, we can successfully serve motorists who need duplicate transponder keys. Precision is very important during these situations, and this is why we always thoroughly inspect transponder components so that proper steps can be taken in order to effectively duplicate the hardware. Although a transponder has tough housing, a heavy impact can cause minor or severe damage. In order to protect a transponder key, you must keep the key on a sturdy counter. If a transponder is kept in a risky spot around bulk items, the housing may warp or chip after a heavy object drops on it. Pros on Call provides transponder key services to motorists in residential and commercial locations. Contact us today and schedule an appointment for our traditional or emergency locksmith services. Transponder Car Keys https://prosoncall.com/locksmith/automotive/transponder-car-keys/ 4.1/5 based upon 14 reviews.